Archer Merrick, 93, passed away on January 27, 2019. He was born August 9, 1925 to the late William and Florence Merrick in Rocky River. He worked for Akron Standard Mold in Akron, Ohio for 39 years, starting as a toolmaker and retiring as the head of the Purchasing Department. He served in the United States Coast Guard as a Radarman 2nd class, serving most of his time in the Aleutian Islands. He also spent time aboard a Coast Guard frigate and on anti-submarine patrol duty. He enjoyed his woodworking shop and could fix almost anything. He enjoyed vegetable gardening and travel to Hawaii, Canada and visiting the states. 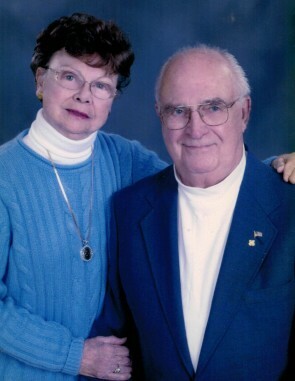 Archer was preceded by his wife of 63 years, Janet; and sister, Judy Whitaker. He is survived by his daughter, Lisa Merrick; sons, Steven (Cynthia) and Chris (Janis) Merrick; grandchildren; Brian (Claire), Kyle, Brent, Jennifer, Adam; one great-grandchild, Paige Opal; sister, Sally Martin; and brother-in-law, David Boots and his wife, Peg. Special thanks to the Summa Hospice care team especially, Robin, Taunia, Jessica, Mallory, Phil and to Rene for being with Archer during his remaining hours. Inurnment will be held at Ohio Western Reserve National Cemetery on Thursday, February 7, 2019, at 10:00 a.m. with military honors.